You're invited to "join me" for a... 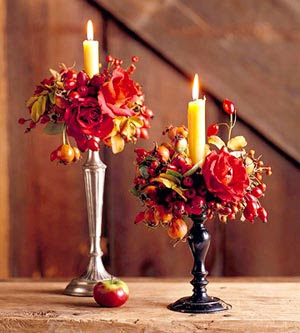 This Saturday evening my husband and I will be hosting a Progressive Dinner Party at our home for our church class! I thought you might like to join us (in bloggy spirit at least!) as we prepare, decorate, cook, and host! 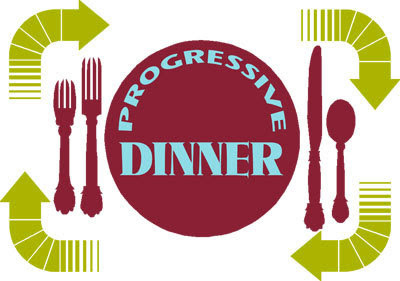 Have you ever heard of a Progressive Dinner before? It was a popular form of entertaining in the past few decades, and for good reason! It's really simple and fun!!! Usually what happens is that you hold a 3-4 course meal, with each course being hosted at a different home. This would obviously work best if you lived in the same neighborhood or close together! The party kind of travels along, and each hostess is only responsible for one part of the meal. A Progressive Dinner Party is also really fun because it allows people to get to know each other better as they change seating with each course! For our party, we are having the Progressive Dinner all at our house!! We will have around 3 tables set up in different rooms, and everyone will be changing seating at each course! But don't worry, I am not "hosting" all of the courses!! I am only providing the main entree' and sides, and beverages. Other couples were asked to bring either an appetizer or dessert to share! So far we have 5 couples coming, and maybe 1-2 more will be RSVP-ing later today?? Today I'm going to finish getting my RSVP's and do my party shopping for food and a few little things! Tomorrow I'll share more detailed party plans! I hope you'll join me again tomorrow!!! Family Goals -- We're All In This Together! Use this family meeting time to discuss things positively, honestly, and age-appropriately! Even younger kids can understand that the family is going to be careful spending money, and that everyone in the family can be a helper with this! Be sure not to worry your kids, but sound positive about changes and the ultimate outcome. Let them know "We're all in this together! :)"
Brainstorm as a family some ways to save $$ around the house. Use this time as a reminder to turn off lights, unplug items not in use (energy is still being used when plugged in), turn off water faucet when brushing teeth, etc. Talk about how everyone is going to be making a few sacrifices to save $$. Give a couple examples of sacrifices that you are willing to make (giving up coffees, color your own hair), and let everyone come up with a few ideas of things they could give up/cut back on. Talk about how everyone has to work together to reach the family goals. Add up what these savings would be each month, and get excited!! Let kids know if they want something they can either: 1) put it on a future gift list, 2) think of a low-cost version of the same thing, or 3) come up with a way to earn the $ themselves! Remind them of what is a Need vs. what is a Want, and let them know that they might not get everything they want & that's ok.
Have a list of fun, free family events that you could do together (we just went to a free kids Fall Fest and had a great time), and vote on something to do each week! Just because you're on a budget doesn't mean there can't be amazing family fun!!! Discuss where monthly family savings will be used. Maybe the extra $$ will go toward paying bills, saving for a new couch, or a family vacation! Kids feel excited to know they are saving for a goal. You could even create a chart to color in the money saved until the goal is reached! Have family meetings once a month to do an update on things! I hope this will get you started on your own Family Meeting! Have a blessed day, and tomorrow for "Creating a Welcoming Home Thursday" I'll give you my plans for a dinner party we're having Sat. night! It'll be a fun twist on things!! 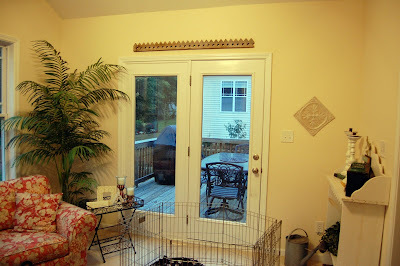 If you've been reading my blog, you'll remember that we're going to be doing a makeover on my sunroom! 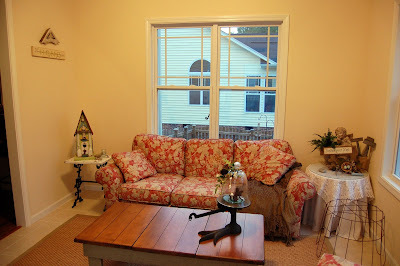 You can see all of the before pics of the sunroom here. Everyone wanted to know what I was planning to do, and I thought I'd reveal it a bit at a time! I will tell you that the furniture layout will stay the same, as I've just recently rearranged it. Sometimes I'll be asking you to vote for your decision on different decorating choices! Yummy, lovely, crisp and cottagey (and bleachable!) slipcovers!!! Soon I'll share my inspiration "board" for this room :), and we'll also be finishing up our "Dollars and Cents" budgeting series! I've also got a party coming up to share fun ideas and recipes with you as well!!! First of all, I'm very excited, because I was a winner of Margo's Junkin' Journal's JunkCalendar Photo Contest! Yeah! Thanks, Margo!! Please check out her amazing blog, and buy one of her calendars!!! Next: I'd like to announce that Secret Is In the Sauce SITS is doing a giveaway for a brand new Bissell vaccum cleaner!!! 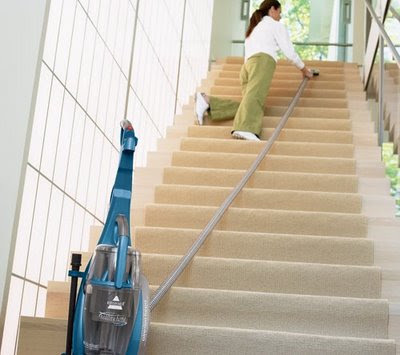 Any vaccum that'll allow me to do stairs like this, and will trap all kinds of yucky things like dust, mold, and allergens inside is one that I want!!! Go to SITS to enter to win!!! As the old song goes, "His eye is on the sparrow, and I know He watches me!" 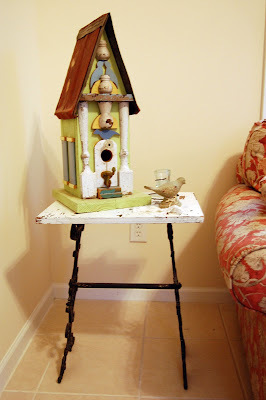 Go check out Margo's Junkin' Journal & SITS!!! I got an award today from Ms. Sandy Toes at Shell in Your Pocket!! THANK YOU, Sandy Toes!! Y'all should really check out her lovely blog! I love reading it, and seeing her sweet little moppets, and her decorating ideas -- she did a great, inexpensive re-do of her kids bathroom -- go take a look! Jen at Balancing Beauty and Bedlam--Jen has a passion for homemaking, hospitality, saving $$, being a great mom and finding the beauty in things...all amist the crazy bedlam of everyday life! I just love reading her blog and would love to meet her in "real life" someday! 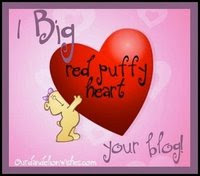 Go & get ready to love this blog! ALVN at WhisperWood Cottage--I met ALVN through the junk community online, and met her in person at Junk Bonanza! She is so sweet and fun, and I just know we'd be junkin' together on the weekends if only we weren't half a country apart! 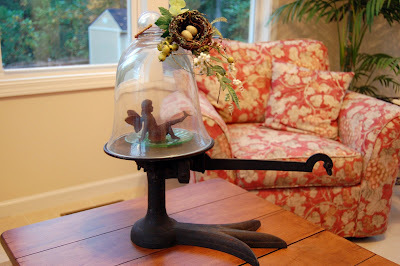 :) Check out her blog to see her amazing garage sale finds and read about her junking adventures!! Dawn at The Feathered Nest --*sigh* I want to be Dawn when I grow up! I literally sigh everytime I click on her blog! She is an amazing artist, and has such lovely things to share!! Dawn loves birds as much as I do, and often has pretty art for us to click on and use ourselves :)! Thanks, Dawn! She also has her work featured in Somerset Life, and has online tutorials for sale for all of us artist wanna-be's like me!!! Go get a cup of tea, and enjoy the loveliness! Ok...what's this picture of, you ask? Why is it so...empty...bare...dare I say...plain?! Well, dear friends, today I'd like to do something to stretch your decorating and budgeting imaginations! Get you to think outside the "vase", so to speak!! I try to buy things only if I know several ways or several places to use it! The reasons: It saves money to get lots of use out of something, plus I like to have lots of options since I change my decorating mind often :)!! I got this "vase" at Wal-Mart, and there are quite a few ways to use this!! Here's just 3: bouquet of gorgeous flowers, holding bath salts with a ribbon tied around, flipped upside-down to hold a platter on a buffet table! 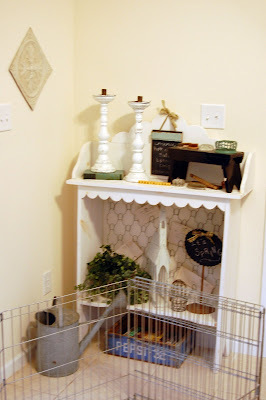 There are tons of other ways to use this/decorate this up! What would YOU do if this were yours??? My Hubby has been SO sweet lately!! We took our kids to a Fall Fest at our local county park last Saturday. It was grey and very chilly, but the girls loved getting their faces painted, making crafts and carving the pumpkins they had there :). My Hubby turned to me with a smile and said, "This weather reminds me of another chilly October evening exactly 12 years ago!". I had no idea what he was talking about, but I tried to guess, "Oh, were we carving pumpkins? Oh, I know, it was our Pick-a-Date!!" I had no clue, and was trying to keep guessing. "Exactly 12 years ago, right about now, I asked you to marry me!!". He may not remember what I asked him to do 30 seconds ago, but boy-oh-boy does my guy get the good stuff right! Then, yesterday while Hubby was on a business trip arrived the most beautiful red roses!! 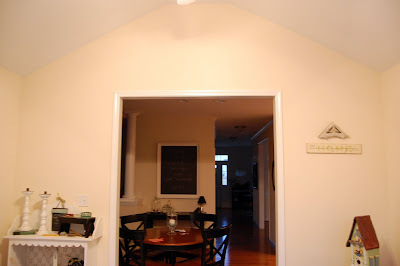 As promised, today I'm sharing with you pics of my Dining Room! It is not "finished", but is a good example of budget decorating!! Our home has an open floor plan, and this is the view from the central hallway. To the left is our "library" (what we say for the formal living room--it holds bookcases and piano), and to the right our kitchen. We would like to paint this room a cafe' color above the chair rail, and do wainscot panelling below (painted the same color as the trim). I just love this tray ceiling! I'm going to do a super pale champagne leaf/color dry-brush finish in there! The chandelier was put in by the builders. Maybe someday I'll change it out, but for now it's just fine! That's a lesson you learn when choosing to decorate on a budget! Not everything HAS to be done right away! Make a list of what you NEED to do, and what you WANT to do, then check items off the list as the budget allows! I added the black chandie shades, and black cord scrunchie cover. I have black accents throughout the house, so this ties in well. Also got the lamps with black shades at Kirklands for $19 apiece!! The silk drapes were from LinensNThings on sale. 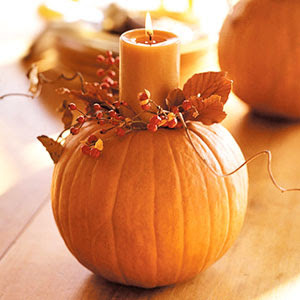 Here's my fall centerpiece! The silver tray on the bottom came from the thrift store! The vintage glass cake stand and candy (?) 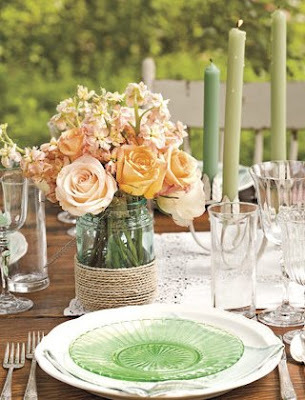 dish, along with the milk glass candleholders were my hubby's grandparents. His grandmother passed away this July, so these items on display are a nice reminder of such a special lady! I dressed them up for fall with some pinecones from our neighborhood and baby pumpkins. I also added a chocolate and gold sparkly bird that matches the ones on the autumn/winter arrangement on the "buffet". The lace tablecloth was a gift from my sister when she was studying in Europe in college. I have a cream colored tablecloth under it now, but for the holidays use a red tablecloth under. You can see the color through the lacy cut-outs on top! These candle sconces used to hold oil lamps in the Victorian era! They were only $16 at the flea market!! How did I learn about these? Saw them in a magazine, and clipped the pic for my inspiration/decorating files!! Had this in my file for several years before I found them this summer!! I bought this china cabinet 10 years ago when we lived in Texas. I got it from friends of ours that were moving and didn't want to take it with them, so I got it pretty inexpensively! The wood matches the tone of our dining set fairly well, and it holds a LOT! I'd eventually like a antique piece, or hutch, but is this a priority? No! It works well, and is paid for, so for now it stays!! Here's some of our formal china, which we use several times throughout the year! We really do use our china and silver and this dining room often. When we have family over or entertain, it's in here! Why not?! :) I figure if something gets broken, so what? It's just a plate, right?! Creating memories with family and friends is more important than a broken plate. Enjoy the things you've been blessed with!!! Also in here are some family items. Carnival glass dishes from my Grammy. A special blue bottle from my Grandpop's collection. Teacups from hubby's Grandmothers, and a silver baby cup from his great-great Uncle! This rug was FREE from my sister! It's nothing great, just something to hold us over until we can afford to get a new rug, but it'll do! :) New rug = expensive. This rug = FREE. I'll take it! We received our dining table and chairs when we were newlyweds 11 years ago! It belonged to Hubby's grand (or great grand) parents! It is very old, and very beautiful! It's also getting a little wobbly and the seat bottoms are cracking, but we'll never get rid of it!! This will get changed out for a cream slipcover-skirt! My antique brown transferware collection! I'm collecting this a piece at a time. Waiting for one special plate to go at the top! Lessons here: Decorate over time. Make a list of Needs and Wants. Take freebies gladly. Use what you have. Add items with special meaning. Buy on sale. Mix new and old pieces. Wait patiently. Enjoy your blessings! Yay!! I received this sweet award from Sandy Toes over at Shell in Your Pocket!!! Thank You, Sandy Toes :)! She is such a sweet gal, and has just gotten a very pretty blog makeover, too! Go check out her blog! Also, I was tagged by Jenny of The Red Bulletin Board!! I "met" Jenny originally through our blogs, but have since met her at SuzAnna's Antiques in Raleigh, NC. She is such a cool gal, and you really should read her blog :)! I can't sleep with pajama pants on! They get all twisted around your leg, and ride up above the knee. I hate them! I usually wear a nightie of some sort. I love to watch the History Channel! I have had my hair every length from halfway down my back to only a couple inches long (VERY short)! It's also been various colors in my life, including very dark brown (for a play), and blue-green streaks (college...need I say more?). I usually like to have flowers in the house at all times! I look tired/sick without makeup on. Mainly mascara, cause my eyelashes are strawberry-blonde. This isn't just me saying this...other people have, too. Not nice, but true! My current candy obsession has to be mini-size Heath candy bars. You'd think this would cut down the amount I ate, wouldn't you...! I really have to say a big THANK YOU to everyone who has left such kind comments lately!! I have been so excited to read each of your comments, and really appreciate each and every one!! Have a great day, and tomorrow I'll continue with our decorating and budgeting ideas!! 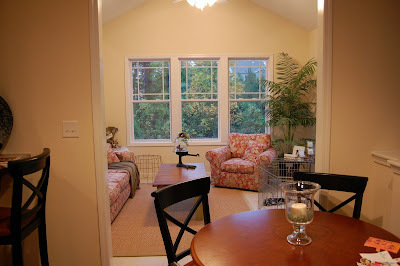 Here's our sunroom! I mentioned in the last post that this is the room that I want to really "makeover" by the end of the year, so I thought I'd show some "before" pics for y'all! This is also a good example of a room done on a budget!! The sunroom is at the very back of our house, and overlooks our deck and garden in the backyard. We just love this room! It's a great place for snuggling up with a book, or having breakfast with my hubby on a Saturday! How did we/are we doing this room on a budget? Let's take a look! First of all, this room (along with the rest of the house) is ever evolving, a piece at a time! This is actually the 2nd couch and chair that this room has seen in 1 1/2 yrs. The originals were a loveseat from our former home(s) that is now in our master bedroom, and a wing chair we got free from my husband's former workplace when they were going to throw it out! It has a slipcover, and is in the "bonus room/playroom" now! This couch and chair we also got for FREE from my sister when she bought new furniture!! Score! I had wanted a larger couch in here, but wasn't going to purchase one. This worked out perfectly. The exchange for my sis? When we end up donating or selling a couch of ours in the future, we give her the tax write-off or $! Sounds fair to me! This set fits nicely with our garden cottage style for this room, but it won't look the same when we're done! This is the french door going out to the deck. And the oh-so-loverly "playpen" where my puppy stays when we leave the house. This room has a wonderful large tile floor, which can any puppy mess can be easily cleaned up from! Also perfect for kiddo shoes covered in NC red clay after playing in the backyard! I just love the architechtural piece above the door! I got that at Kane County Flea Market (in IL) years ago. It supposedly came from a house in Wisconsin! The tin tile hanging on the wall also came from a flea market. I think I got that for $9. The large tree is actually a fake from HomeGoods, and the iron & glass end table bought at 1/2 price when I hosted a Southern Living @ Home Show! The potting bench-type piece above was bought secondhand, and filled with thrift & flea market items. The Pepsi crate holds my gardening magazines! This is the opposite side of the room. You can guess how high the ceilings are by the scale of the furniture! 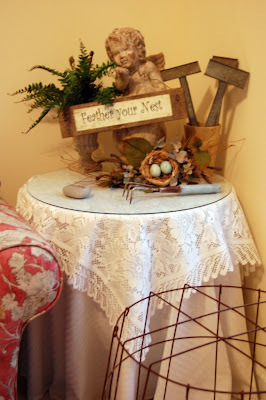 The round end table is a cheap particleboard with 3 legs you can buy anywhere, and it's covered with inexpensive white toppers from Target or someplace like that. The other end table is from a flea market, and is the base to a sewing table re-made with a new chippy white, wood top! The seagrass rug & coffee table I had seen in the builder's model home and I fell in looove! We asked for the rug from Ballard's (on sale) for Christmas from my parents! The coffee table was a Broyhill piece that was no longer sold in stores, but I tracked one down at their clearance warehouse a couple hours from here, and ended up saving a bundle!! Recognize the items on the round table? Got them a couple months ago at a shop's 50% off everything sale! Seriously inexpensive!! The large wire basket? Wait till you see what we do with that! This is the view looking back into our breakfast nook, and down the central hallway! The reason there are 2 little things hung all alone on that great big wall, is there used to be another cabinet piece there (now holding soaps and cleaning supplies in my laundry room!). Ignore that! Well, this should give you a blurry idea of what the sunroom currently looks like! It'll look quite different when I'm done with it :)!! I hope you enjoyed these "before" pics...can't wait to work on this room with you guys over the next month or 2!! Decorating seems to be a favorite topic among us bloggers! And showing how we do it on a budget is the best part!! So, I'm going to give some basic tips for Decorating on a Budget to add to our "Dollars and Sense" series. Today I'll start with the very basics of beginning to decorate, and during the next few days I'll show you some spaces in my home where we'll go over how I have decorated (or am in the process of decorating) a room on a budget! I'm going to start at the beginning, since I believe there are some young readers who are just starting to feather their nest! Begin by having the very basics: 1) a comfortable, supportive mattress set, 2) a dining table and chairs, and 3) well-constructed, comfortable couch. If you are going to spend money on anything in the beginning, spend it well on these items. 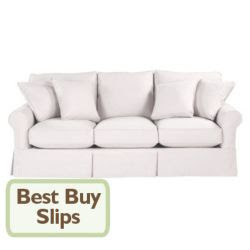 Especially the mattress set -- this is one item you won't want to be cheap on. This doesn't mean you can't find a fabulous mattress on sale, but get the best you can afford. Your back will thank you, and you'll actually get a better night's rest! Make a list of what you NEED, and what you WANT!! Determine what you need first, and SAVE YOUR $$ to get it! So many people get sucked into thinking that they must have everything immediately decorated and done, and they gain debt by doing so! Young people, remember that your parents didn't have all that they have right away! They worked hard for it, and bought things a piece at a time!! I'm seeing a trend of young couples going straight for the large house, nice cars, etc., and they are struggling to make payments with 2 incomes. Take your time, work hard, save your $$, and spend it wisely! Re-use what you have in new ways! Nothing like a new look for free! Buy items only when you can use that item several ways or in several places in your home. Don't spend much on accessories! Buy neutral! When you have saved $ to buy a couch or upholstered piece of furniture, buy a well-constructed piece that is meant to last! Also, have the upholstery done in a neutral , solid color. ( Trust me! Neutral does not have to equal beige. White, cream, cafe', chocolate, black, even greens, blues, or a red if you're daring, can be neutrals! ) Choose a color that pairs well with most every other color out there. Then pair this main piece with colorful, patterned accents throughout the space. For example: a cream chair would look fabulous with a grey-blue throw draped over the back and a floral-patterned pillow with grey-blue, cream, and sage in it. Tired of the blue? Now, picture that same cream chair with a red throw and red, yellow, and green plaid pillow! How about a blue sofa? Pair it with blue toile and yellow accents. Or reds. Or a great floral fabric with lots of color. 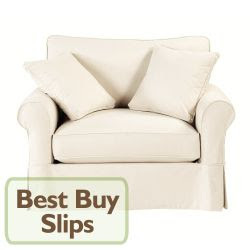 Pillows & accessories are cheap, my friends! Upholstered pieces are not. Choose wisely!! This will give you the most flexibility to change your mind about accent colors and patterns over the years, and also for decorating with the seasons! Begin a "Dream File Folder" system! This is really fun to do! Just clip pictures from magazines that catch your eye, and start a pile. After a bit, you may start to notice that you are drawn to certain things over & over! This could help you make some decorating decisions! Finding yourself clipping rooms with pretty blue walls? Maybe you should paint one of your rooms blue! 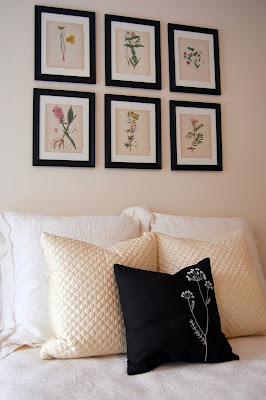 After you have a nice little pile of pictures, separate them by where in your home you might like to use that particular idea. Then file them accordingly. I have file folders for each room in the house, plus ones for porch and garden, plus entertaining ideas, gift ideas, & crafts. This will help when you have saved to start decorating a certain room. Pull your file for that room and see what you have been dreaming about. Come up with a plan using some of these ideas! You can even pin them on a bulletin board to see how the elements in the pictures work together. Add paint swatch cards, fabric samples, and more as you go, and you'll see your "room" take shape! These are just a few things to consider when starting out!! I'll give more tips and tours of my rooms over the next few days!!! Maybe we'll do a room re-do in my house together over the next few months! 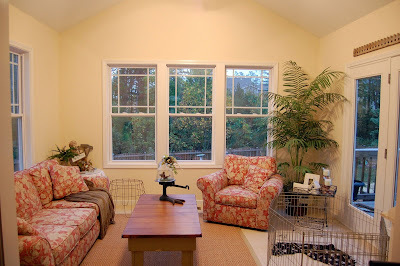 I think the sunroom is on my list -- let's do that! We'll walk through start to finish, okay?! Hi! Anyone want some extra coupons? We don't use all of ours! Leave me a comment if you want some! Or, just give me some comment love to be nice :)!! I'm babysitting my sweet 20mo. old nephew all day today! Yay! He's my sweet boy, and I just adore that kid! Tomm. I'll continue with more money-saving tips!! !